Phoebe Lin and Will Kendall meet in their first month at prestigious Edwards University. Phoebe is a glamorous girl who doesn’t tell anyone she blames herself for her mother’s recent death. Will is a misfit scholarship boy who transfers to Edwards from Bible college, waiting tables to get by. What he knows for sure is that he loves Phoebe. Grieving and guilt-ridden, Phoebe is drawn into a secretive cult founded by a charismatic former student with an enigmatic past. When the group commits a violent act in the name of faith, Will finds himself struggling to confront a new version of the fanaticism he’s worked so hard to escape. 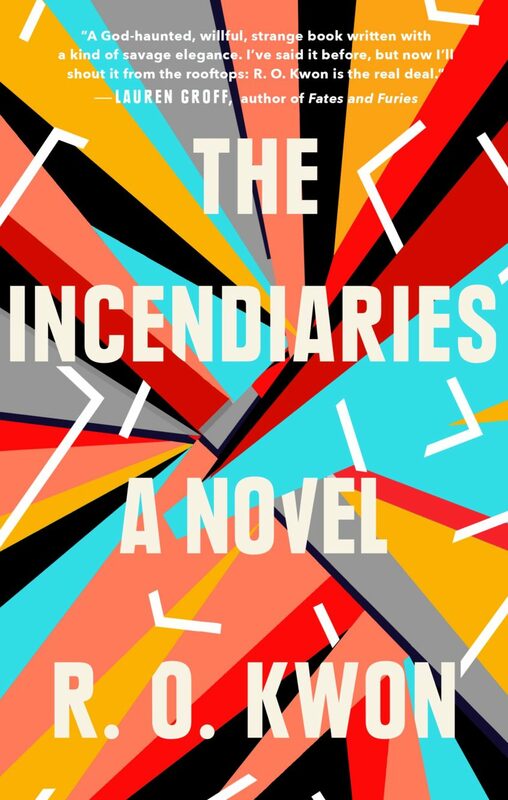 Haunting and intense, The Incendiaries is a fractured love story that explores what can befall those who lose what they love most. 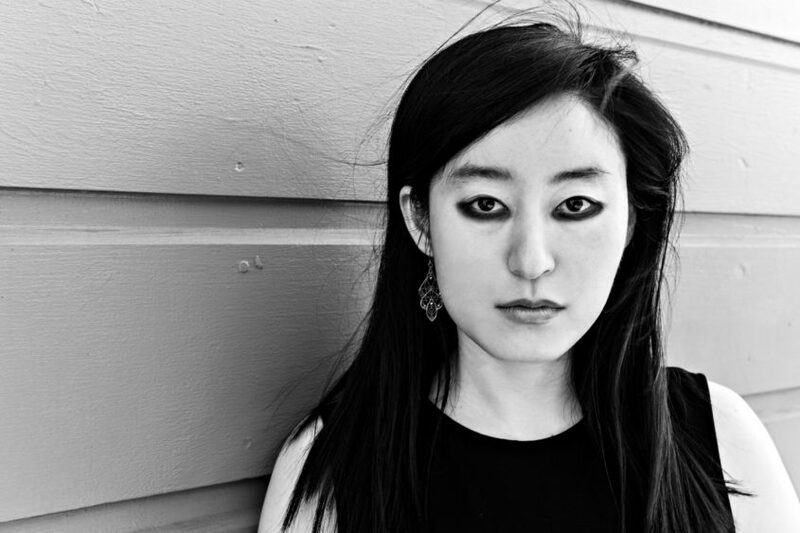 We asked author R. O. Kwon a few questions about her story. Read it Forward: What was the first seed that planted itself in your mind when you began writing this novel? R. O. Kwon: I grew up deeply religious, and, until I was seventeen, believed I might make a life out of serving my idea of the Christian God. Losing that faith was terribly painful for me, even shattering—so much so that, to date, it’s proven to be the central, ongoing loss of my life. With The Incendiaries, I hoped to give witness both to terrible it was to lose God, as well as to how wonderful it felt to love Him, back when I could still believe. RIF: Why did you choose to set this novel on a college campus? RK: For one thing, college is often such a liminal time, a time of change and uncertainty, when a lot of people are changing, reshaping themselves, figuring out who they want to be. In my research, I found that, partly for this reason, a lot of extremist groups and cults recruit at the college and high-school level: people who are changing might be more open to alternative ways of being. But also, on a more personal level, I loved college. In some ways, college was an arcadia for me. I loved, and love, learning; I loved reading all the time; I loved the freedom. In a lot of ways, it felt like playing. It was such a joy to get to revisit aspects of that time. RIF: Phoebe, Will and John Leal are each grappling with the feeling of inadequacy. Why is that emotion such a powerful driver for these characters? RK: That’s an interesting question. You know, I’m not sure I know many people who feel entirely adequate. I’d say that ambition is a more immediate driver for these characters—in a variety of ways, they’re all reaching for more. RIF: Each member of this trio is simultaneously losing and gaining faith—in God, in religion, in themselves. As a writer, why was it interesting to explore matters of faith? RK: Part of what I found to be so painful about leaving Christianity at seventeen was the fact that, while I was in high school, almost everyone I knew was very religious. What’s more, at least at the time, I couldn’t really find my experience of apostasy in the books I loved. I was lonelier, post-apostasy, than I’ve ever been since. By writing a book that’s fascinated by, and grappling with, varieties of faith, I hoped to write a book for the profoundly lonely girl I once was, to let her know she’s not as solitary as she believes she is. RIF: Did you know there was going to be a complicated love story at the center of the novel or did that come as you were writing? RK: No, I didn’t know. I have very few plans or intentions when I start writing; instead, I ask the sentences to tell me where to go next. Writing, for me, is a slow-motion revelation. RIF: Does Phoebe have a voice in this novel? RK: She does, but, because of the way the novel is structured, I wanted the story never to stray beyond the limits of what Will can either know or imagine about what happened. In a lot of ways, the fictional raison d’être of the book is that Will’s trying to understand what happened to Phoebe, and to himself. As a result, Phoebe’s voice is jumbled with Will’s. RIF: What do you hope readers take away from reading this novel? RK: Whenever there’s an extremist, faith-based act of violence, a common reaction is to say that the perpetrators are monsters, that they exist beyond the pale of human comprehension. Few of us, I think. are villains to ourselves. I hoped to shed some light on what can drive someone to commit violence in the name of God. Which, in some cases, is in the name of love. Instead, he was kidnapped by North Korean agents, spirited across the border, and thrown into a prison camp outside of Pyongyang. In the stories he later told the group, he said the gulag brutalities were bad enough, but at least they’d been expected. What astonished him was the allegiance his fellow inmates showed toward the lunatic despot whose policies had installed them in their cells. They’d been jailed because, oh, they’d splashed a drop of tea on his newsprint portrait. A neighbor claimed to have overheard them whistling a South Korean pop song. Punished for absurdities, they still maintained that the beloved sovereign, a divine being, couldn’t be to blame. At first, he assumed this was lip service, the prisoners afraid to say otherwise. But then, he thought of the refugees he’d met in Yanji, how they talked of loving the god they’d fled. They attributed the regime’s troubles to anyone but the sole person in charge. A month into John Leal’s time in the gulag, prison guards held an optional foot race, the prize a framed icon of the despot. In the confusion, those who fell were trampled. One child died of a broken spine. Through howls of pain, he shouted hosannahs for his lord. They weren’t lying, the poor fools. They believed in the man as one might believe in Jesus Christ. Some people needed leading. In or out of the gulag, they craved faith. But think if the tyrant had been as upright as his disciples trusted him to be. The heights he’d have achieved, if he loved them—if, John Leal thought, until his idea began. I hoped I’d be a piano genius, Phoebe told the group, in the first Jejah confession she tried giving. She’d have sat in the circle, holding a kidskin journal. Though I’d driven Phoebe here, I was outside, going home. It’s a mistake. I should have stayed, but I didn’t. Instead, I’ll add what details I can. The full lips, spit-polished. She licked them, tense. I’m striving to picture it: Phoebe, talking. The thin, long-fingered hands folded tight. She looked down, inhaled. But I didn’t just wait, she said. I expected, no, I wanted to work for it. I spilled time into the piano as I’d have put cash in a bank. I saw full concert halls in the future, solo recitals. Front-page plaudits. I practiced Liszt while imagined spotlights gilded the living room. Recollection is half-invention, but it feels as though I spent my entire childhood training to prove I was the significant pianist I believed I’d be. So, I piled up trophies. It wasn’t enough. The teacher flicked my hands with a rod each time I didn’t hit the right note, but I didn’t mind. My ambition outstripped his. Let my hands swell. I could use the extra span. Bright-knuckled, I tried again. The months ticked past, then years. I kept lists of rivals; I indexed others’ exploits by age. Kiehl, at five, had given his first recital to the Danish king. Ohri, eleven, debuted at Carnegie Hall; “Liu, fifteen. One night, my teacher called Libich’s Etude no. 5 the most challenging piece a soloist might attempt. It’s eluded the finest pianists, he said. I rushed to find the étude’s score. I learned it alone, in secret. I memorized Libich’s high trills. I flailed through wild ostinatos. Once, at the table, my mother asked what I was smiling about. Haejin, she said. She laughed. It’s all right, she said. I ate while she peeled a white peach. The skin dropped in a single coil. She picked it up, holding it to the light. Such a rich hue, she said. It flushed pink, backlit; I nodded, then she put it down. I could tell she wished to talk, but I was lost in trills. I pushed a last peach slice in my mouth, and I went back to the piano. Excerpted from The Incendiaries © 2018 by R. O. Kwon. Published by Riverhead, an imprint of Penguin Random House LLC.